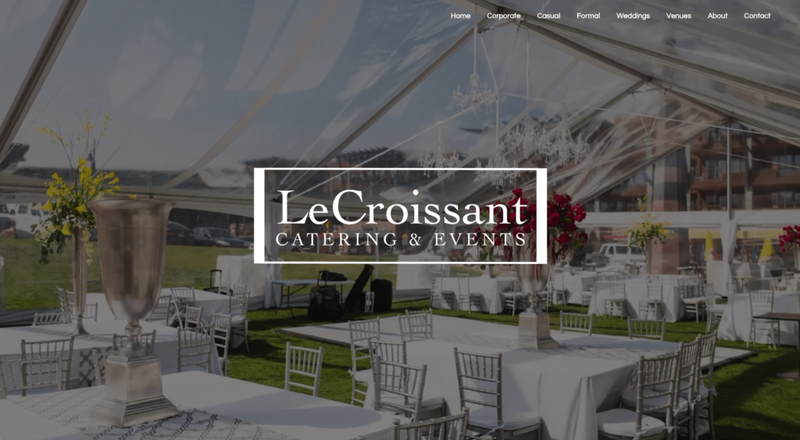 Lux Catering and Events new website: our favorites! Home > Business > Lux Catering and Events new website: our favorites! 13 Jun Lux Catering and Events new website: our favorites! We want to continue celebrating the official launch of our new website today by highlighting some of our favorite features of our new site! Being an active participant in our community is incredibly important to us and even more so – giving back to our community. We get more requests for donations than we can count but still, we felt there were many non-profits and cultural organizations that didn’t even know we did do donations. 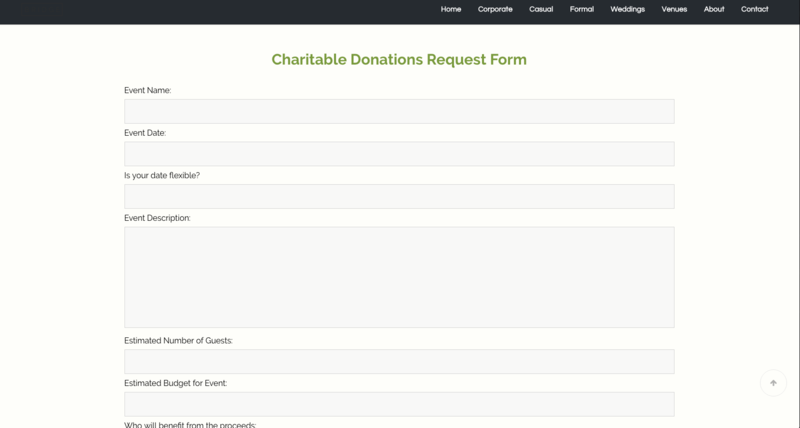 As a result, we decided to make it easy for our current partners and potential future community partners to reach out to us and request donation services. This also allows us to more quickly filter those groups and events that align with our company tenets: conservation, green business practices, sustainability, and inclusivity. 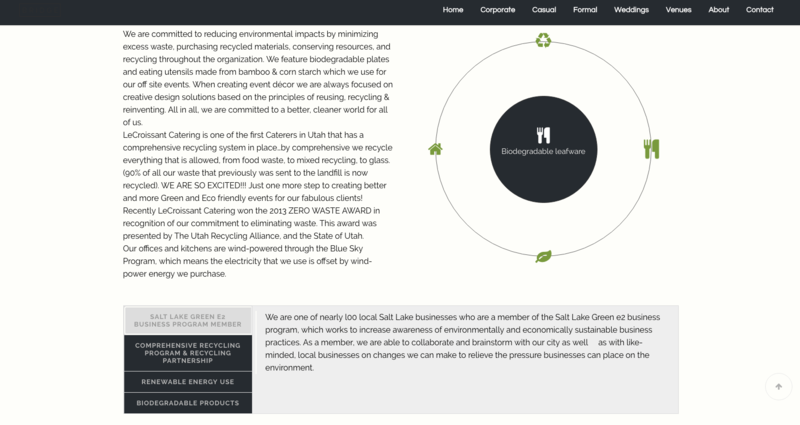 We love this page on our website not only because it gives lots of information regarding our company’s “Eco-chic” tenets like sustainability, recycling, etc., but it also features some of our website responsively design elements. Hop on over to the page and take a look at what happens when you scroll over some elements are click on others. There’s a lot of engaging information on this page! Probably our most favorite addition to our website is the first thing that greets you: our time lapse video was filmed over an entire day of event set up for the largest and most-chic wedding we’ve ever done! It was imperative to us to include more images and videos on our site. 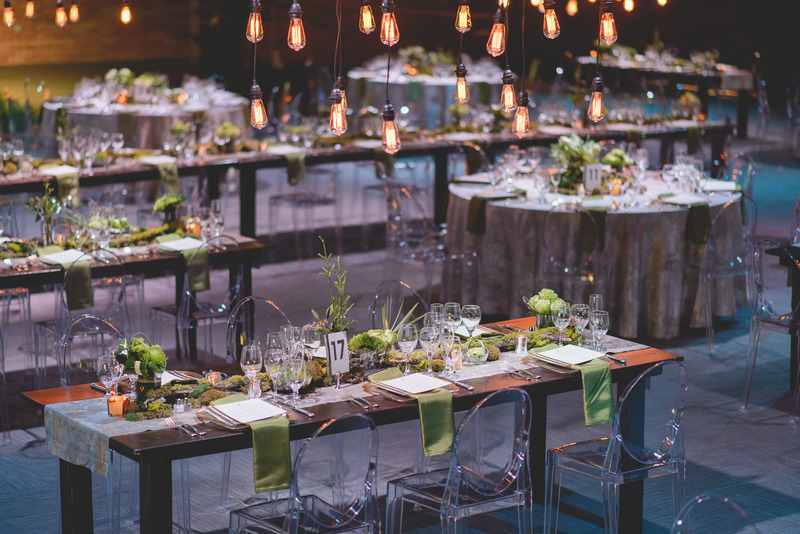 We wanted our website guests and potential clients to get a sense of the breadth of our operations as well as to imagine what it would be like to work with us for an event – to get detailed visions of our event planning process, our culinary excellence, our event design and décor. We felt videos would entice the most of your senses! We have 3 new videos on our website – we challenge you to find all 3! Tell us what you think of the new website! Leave us a comment below or send us an email! Check back later this week to find out more about our new website.